This Page is UnderConstruction... But feel free to Browse and buy what's available so far!! 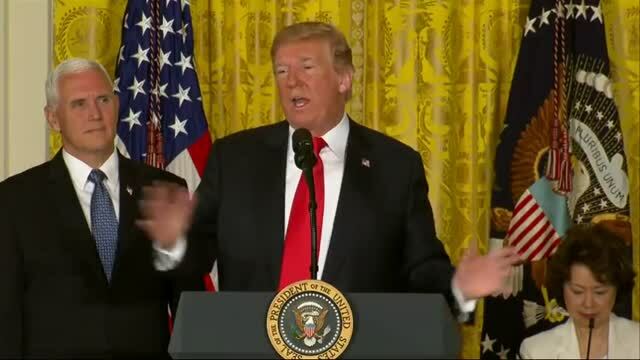 President Donald Trump officially directed the Pentagon to establish a sixth branch of the U.S. Military, in Space, on June 18, 2018. 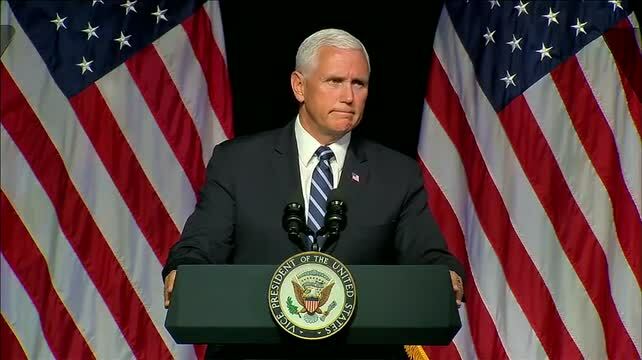 Vice President Mike Pence makes an announcement at the Pentagon regarding the future of the "Space Force" on August 9, 2018. 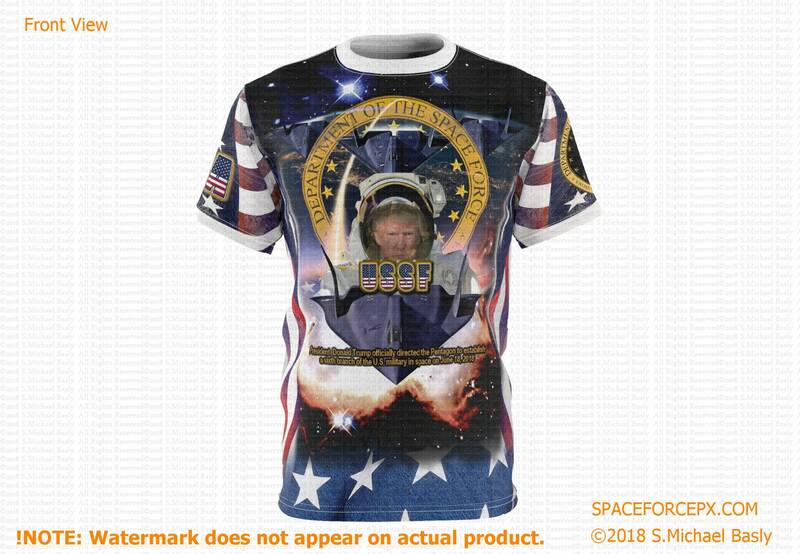 Premium "Trump Space Force" Quality Unisex AOP Cut 'N Sew Jersey Tee By S.Michael. The new space age begins! 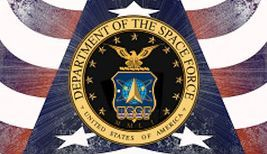 SPACE FORCE Logo??? I kinda like mine... combo of a public domain image I found with my alterations and embellishments... Enjoy - Stephen @sbasly p.s. 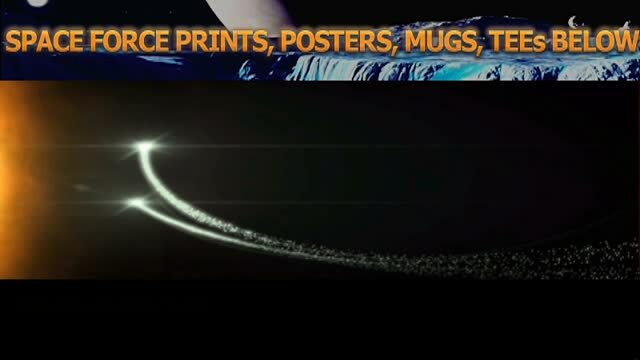 DIGITAL DOWNLOADS - Affordable & FAST! Fine Art at a Better Price. You save with digital downloads because you avoid higher production costs, shipping, and the overhead associated with a physical product. Plus, you can take advantage of sales and other discounts provided by local framers and printers! In additon, you eliminate the possibility of your purchase being damaged during shipping, while also supporting your local businesses. 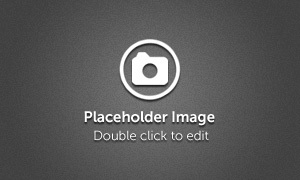 I wish I could offer this option on all my art and photo-gift products, but for now, you can only take advantage of this money saving opportunity on my photographs and digital wall art offerings. To see all my digital download offerings, click on "Digital Art Downloads" category, located under "Items", on my shops main page.